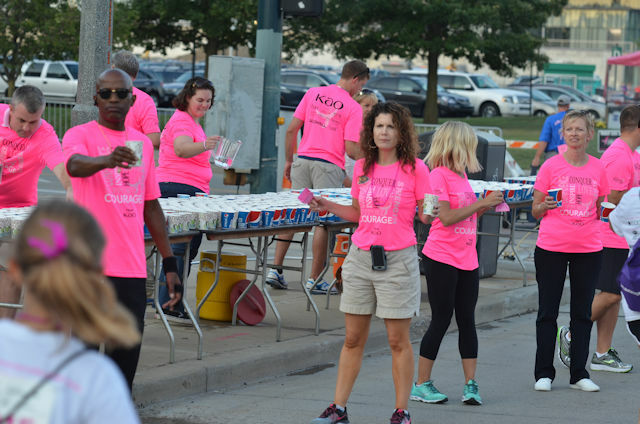 Volunteers play a vital role in the Susan G. Komen Greater Cincinnati Race for the Cure®. Their passion and commitment is what makes our Race successful. Join us today in our fight breast cancer. It’s fun. It’s rewarding. And you’ll meet some truly incredible people when you volunteer for the Komen Greater Cincinnati Race for the Cure. The success of the Race depends heavily on the support we receive from more than a hundred volunteers in the months leading up to the Race and on Race Day. Fun-loving, enthusiastic, hard-working and reliable individuals who are willing to contribute to the success of the Komen Greater Cincinnati Race. 2. It takes hundreds on Race day to provide the best experience to our participants. If you are interested in volunteering on Race day, please email Jennifer Berigan at jenniferb@komencincinnati.org.